Tell us about yourself and how you got to Google. I grew up in rural Prunedale, Calif. and went to Stanford where I double-majored in philosophy and computer science. After college I spent six years as a software engineer at HP, working primarily on printer drivers. I began focusing on testing my last two years there—reading books, looking up information and prototyping test tools in my own time. By the time I left, I’d started a project for an automated test framework that most of our lab used. I applied for a software engineering role at Google four years ago and didn’t do well in my interviews. Thankfully, a Google recruiter called last year and set me up for software engineer (SWE) interviews again. After a day of talking about testing and mocking for every design question I answered, I was told that there were opportunities for me in SWE and SET. I ended up choosing the SET role after speaking with the SET hiring manager. He said two things that convinced me. First, SETs spend as much time coding as SWEs, and I wanted a role where I could write code. Second, the SETs job is to creatively solve testing problems, which sounded more interesting to me than writing features for a product. This seemed like a really unique and appealing opportunity, so I took it! So what exactly do SETs do? SETs are SWEs who are really into testing. We help SWEs design and refactor their code so that it is more testable. We work with test engineers (TEs) to figure out how to automate difficult test cases. We also write harnesses, frameworks and tools to make test automation possible. SETs tend to have the best understanding of how everything plays together (production code, manual tests, automated tests, tools, etc.) and we have to make that information accessible to everyone on the team. I work on the Google Cloud Print team. Our goal is to make it possible to print anywhere from any device. You can use Google Cloud Print to connect home and work printers to the web so that you (and anyone you share your printers with) can access them from your phone, tablet, Chromebook, PC or any other supported web-connected device. What advice would you give to aspiring SETs? First, for computer science majors in general: if there’s any other field about which you are passionate, at least minor in it. CS is wonderfully chameleonic in that it can be applied to anything. So if, for example, you love art history, minor in art and you can write software to help restore images of old paintings. For aspiring SETs, challenge yourself to write tests for all of the code you write for school. If you can get an internship where you have access to a real-world code base, study how that company approaches testing their code. If it’s well-tested, see how they did it. If it’s not well-tested, think about how you would test it. I don’t (personally) know of a CS program that has even a full course based on testing, so you’ll have to teach yourself. Start by looking up buzzwords like “unit test” and “test-driven development.” Look up the different types of tests (unit, integration, component, system, etc.). Find a code coverage tool (if a free/cheap one is available for your language of choice) and see how well you’re covering your code with your tests. Write a tool that will run all of your tests every time you build your code. If all of this sounds like fun...well...we need more people like you! If you’re interested in applying for a Software Engineer in Test position, please apply for our general Software Engineer position, then indicate in your resume objective line that you’re interested in the SET role. 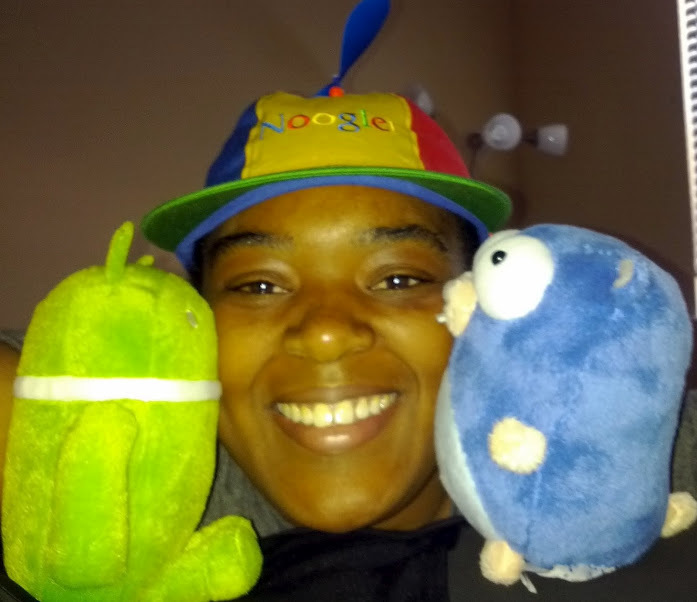 Today we’re featuring Sabrina Williams, a Software Engineer in Test who joined Google in August 2011. Software Engineers in Test undertake a broad range of challenges on a daily basis, designing and building intelligent systems that can explore various use cases and scenarios for distributed computing infrastructure. Read on to learn more about Sabrina’s path to Google and what she works on now that she’s here! The term codebase, or code base, is used in software development to mean the whole collection of source code used to build a particular application or component. Typically, the codebase includes only human-written source code files, not source code files generated by other tools or binary library files. However, it generally does include configuration and property files.